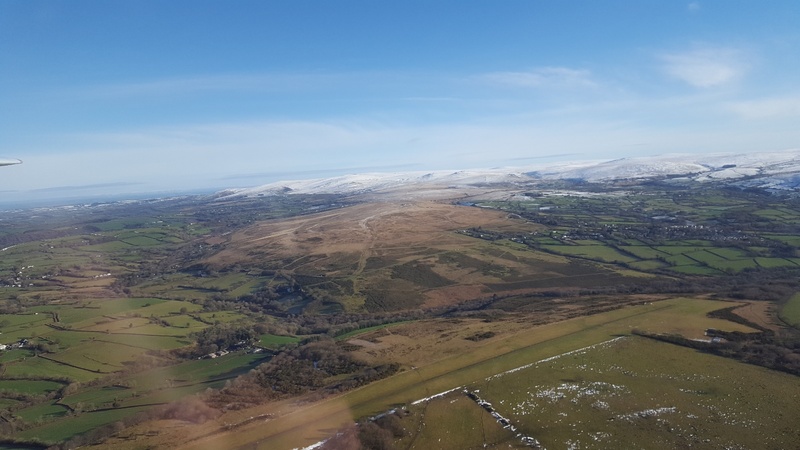 The day dawned gin clear and with the forecast for a light S-SSE'ly with cloudbase around 2,700ft agl there was the prospect, with luck, of wave. And so a small, but enthusiastic group of Sunday Soarers gathered at the (unrecognisable) new look rigging area to get the gliders ready for launching from the west. At which point we should a pause to mention the truly formidable transformation that has been made to the area around the clubhouse from a scene resembling a Welsh mining landscape to a neat, orderly and safe space that would be the envy of many a gliding club, and for which a huge debt of gratitude is owed to Mike Bennett, Phil Hardwick and their team of helpers (not least of which was the vibrating roller they hired). 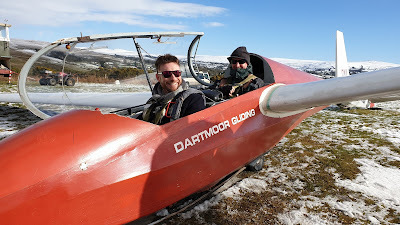 With Pete Howarth on hand as Instructor, today was a great opportunity for those who had fallen out of currency, namely Colin Boyd, Joe Nobbs and myself, to get back in the saddle and really get to grips with launch failure eventualities in conditions which, with almost no wind, were quite challenging. Thanks, Peter. And for those seeking out the wave, such as Andy Davey, Rich Roberts, Steve Fletcher and Phil Hardwick, the day also proved a challenge as the low wind speed, coupled with what appeared to be a strong low inversion (haze in the atmosphere and smoke being capped), seemed to prevent those little tickles and whips from growing into a recognisable system. 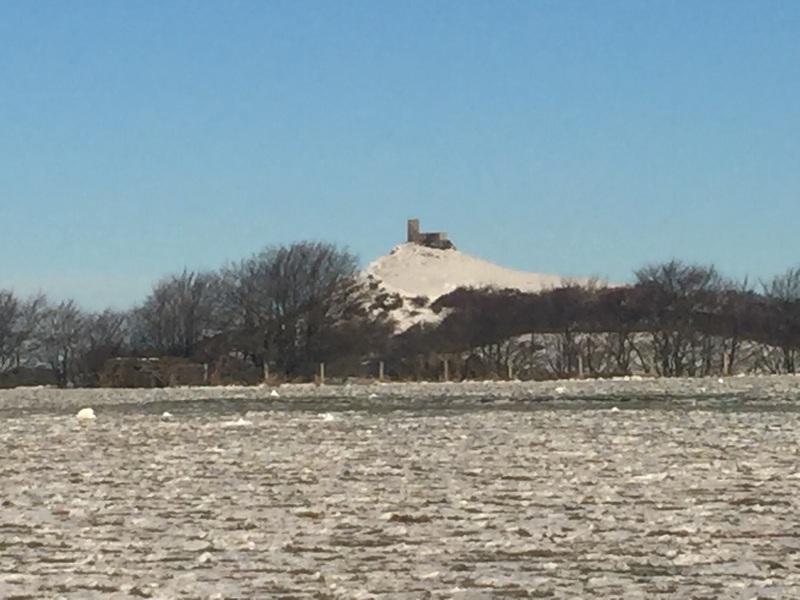 There was some thermic activity to be had, however, as was well marked by the buzzards. Evidence that today was uncharacteristically warm was the fact that shirt sleeves were the order of the day, as temperatures reached an unheard of 18 degrees Celsius in the gentle breeze. At the end of the day as we put the hurdle fence back up, we were happy with our (genuinely) incident free 25 launches, even if the only soaring was that done by the temperature..! Today our patience has been rewarded. An initial blue sky and light easterly breeze signalled a flying day. Excellent. Arriving at the airfield it was apparent that I was not the only one with "flying fever". The kit was already out and flying was about to commence. First up was a test flight with K13 G-CHXP which needed to have it's instruments checked. This flight went without a hitch, the instruments were as we would expect them to be. 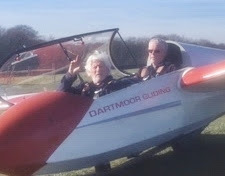 The only interesting detail was that it was the first time that Rick and I had flown together. As instructors we do not normally get the chance. 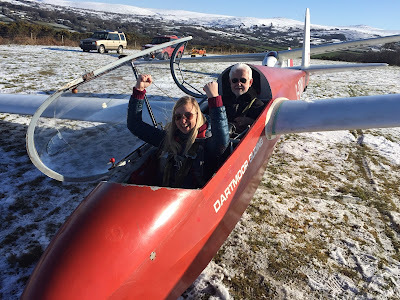 We welcomed visitor Janeth Clarke back to the club to complete her voucher flights. She had flown previously but the conditions prevented a second flight. We had a couple of short flights during which Janeth started to learn how to operate the controls. The wind was initially easterly but quickly went around to the south. The blue sky was replaced with some high cirrus clouds. We went looking for rising air to extend flight times but apart for a short lived area of reduced sink ( possible wave effect ) and a little bubbling air ( from embryo thermals maybe ) there was none to be had. So circuits were the order of the day, the longest of which stretched to a dizzy 6 minutes. 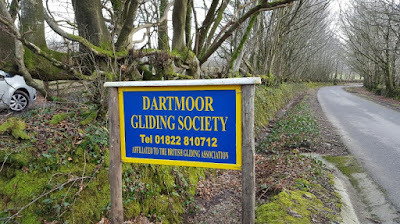 Just to show their mastery of the art of soaring, towards the end of the day, we watched 3 buzzards step out of a tree, immediately turning and soaring skywards. Does all this spoil the day. Not a bit. The pilots used the opportunity to maintain / improve their currency. The potential BI's were practicing their skills ( cable breaks and patter mostly ). Others were just having fun looking for that elusive lift. I took the opportunity to re-aquaint myself with the K8. Great. Towards the end of the day the Committee assembled in the clubhouse to discuss this month's club business. It was well after dark by the time that the Committee Left the Airfield. Can we have more nice weather please? 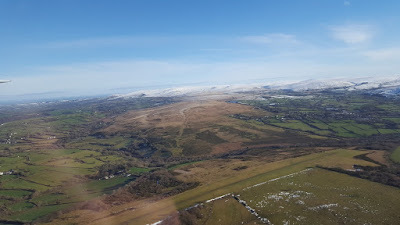 Another Wednesday with a strong gusting wind from the south and a 500’ cloudbase. So no flying again. 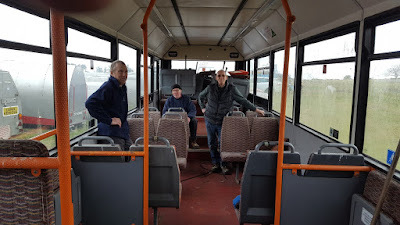 The small group of members set about removing the redundant seats in the bus. Andy, Malcolm, Bob and myself armed ouselves with sockets, spanners, allen keys and scredrivers and set to work. 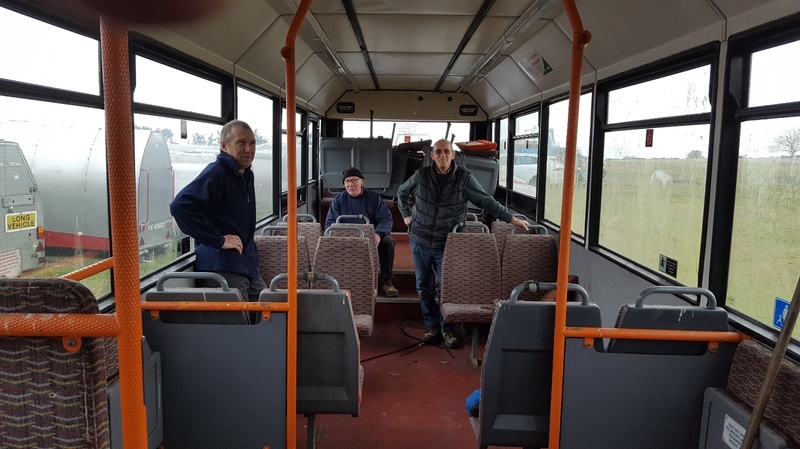 As per the directions on the forum the relevant seats were removed and temporarily stored at the back of the bus to await a decision on their disposal. 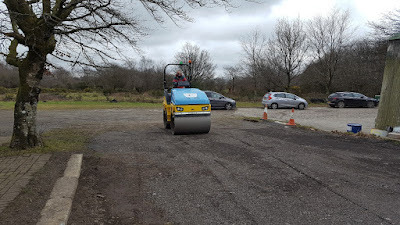 Meanwhile Steve mounted the roller and set about rolling the main track and parts of the airfield. He also attached the areas around the clubhouse. Steve rolling the area near the clubhouse. 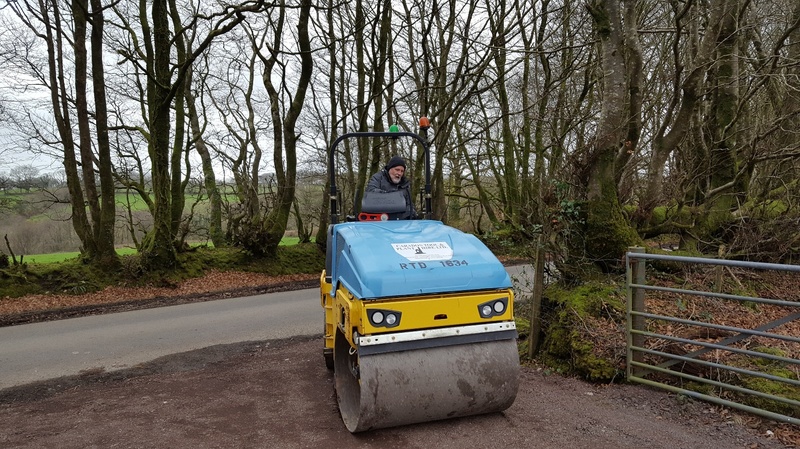 John arrived a bit later and took over the roller to firm up the entrance and track into the car park. 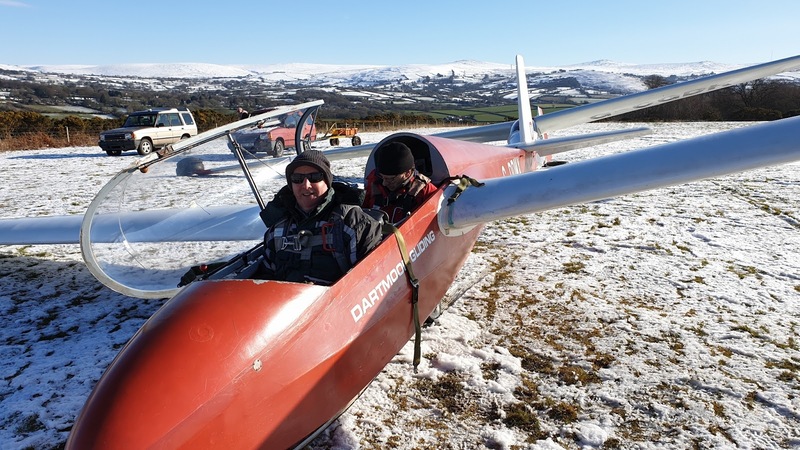 Phil and Robin ventured to the far end of the airfield to repair the roof of the T-hangar. Thank you to all who turned up today. Some good work was undertaken today. 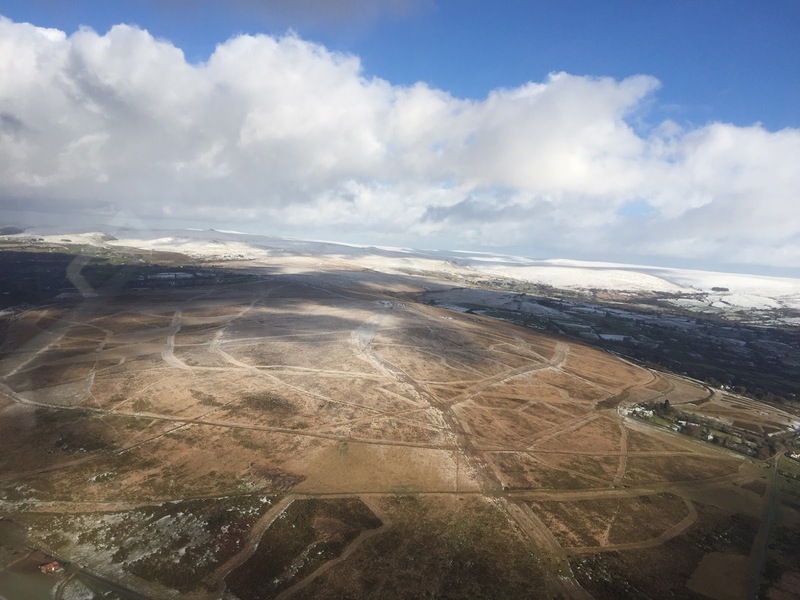 Let’s hope for some better weather soon which will allow us to do some flying. The weather frustration continues. Low cloud, breezy conditions again. 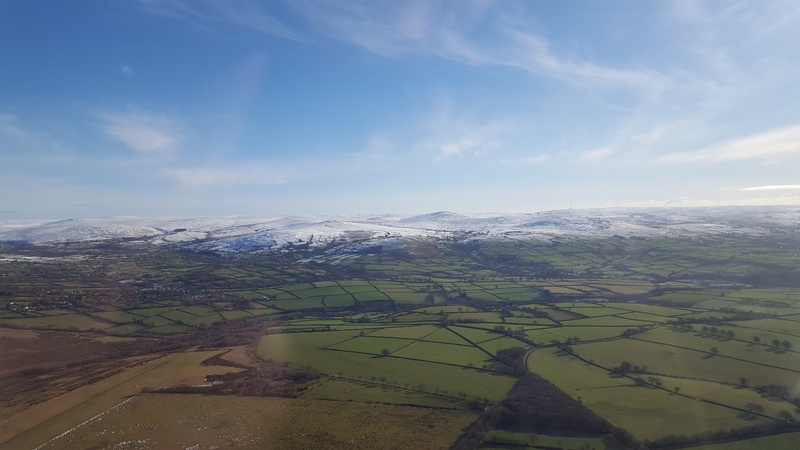 The frustrations of being a pilot while grounded by the weather like this usually makes me wax lyrical about soaring through a sun soaked sky with only raptors and fluffy clouds for company, but today music invaded my conciousness. Would it spoil some vast eternal plan if i were a soaring ( wealthy) man ??? Then I heard some noise filtering down from the runway. 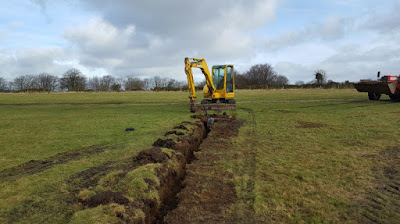 The members were up on the airfield finishing the project to install another land drain at the west end. This marks a landmark (pun absolutely intended) in the series of heavy ground works to improve the site which has seen the tracks repaired, the entrance resurfaced, the car park repaired and several areas around the clubhouse and trailer park leveled and resurfaced. The hero here has to be Phil Harwick who has brought his own plant to the field and worked tirelessly to get all the work done. Thanks must also go the project coordinator Mike Bennett and all the members who provided their labour. In the clubhouse, we continued using the simulator to help Roger Green to learrn the patter for his up and coming BI course. Outside the hangar, Scratch continued the tractor refurbishment. He has replaced the door hinges, re-manufactured the door stops and the floor. Hoping for better weather soon. 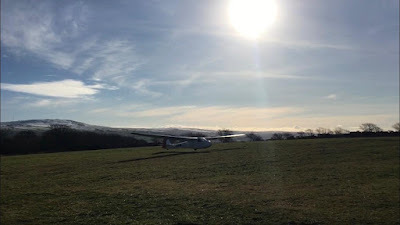 Arriving at the airfield, Mike already had the windsock up. This unfortunately indicated a fairly strong crosswind 90° to the runway. The wind was also gusting at 20 to 25 knots. 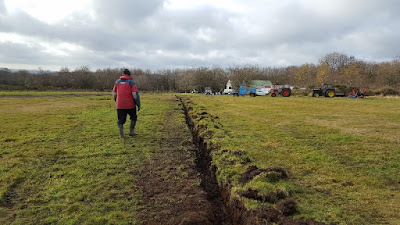 So as the small crew of members arrived it was decided to carry on with the groundwork in hand and wait to see if the wind abated during the day. First task to be undertaken was to complete the drainage channel at the west end. A delivery of chippings arrived so it was all hands to back fill the drainage channel and then replace the turf on top. 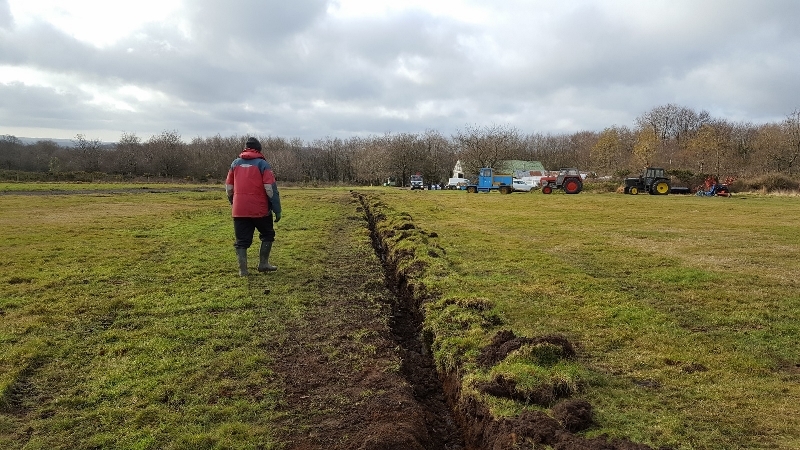 Other than a small length of the drainage channel that requires some more chippings this task was completed by lunch time. After lunch a few of us turned our attention to the freshly painted sign for the front gate. Two fence posts were used to replace the existing supports. John Smith used his initiative to use nails to support the sign between the posts and the original top cross member was used to secure the sign in place. Meanwhile Mike organised a team to help clear the area where the old paint shed stood. The final task was to install some new fence posts in the car park to support the fence where the cattle have pushed up against it. The wind stayed strong and gusting all day so there was no flying, but a good days work was achieved. Thanks to everybody who turned up today. Let’s hope for better Wednesday’s soon. We are in the midst of storm Erik, ( is it just me who finds this spelling annoying?) with threatened high winds, low cloud and showers. 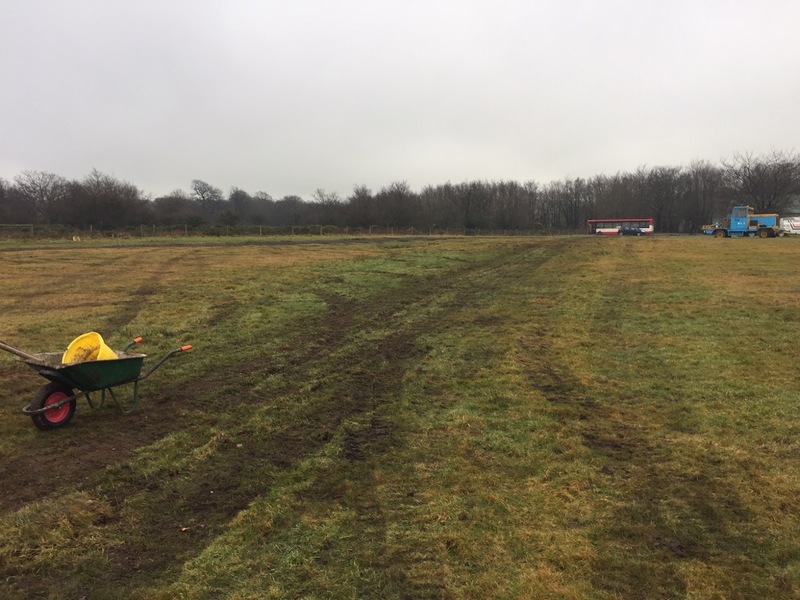 With Phil's Manitou and digger on the airfield it was quiet an easy decision to spend the day working on the field. 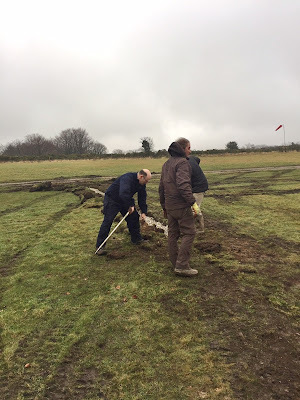 The target for today was to repair the potholes in the track which have appeared recently. 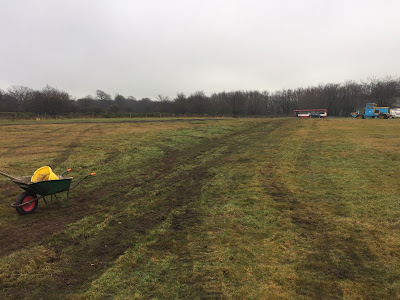 We used the Manitou to move lots of scalpings to the track but spreading it required good old shovels, spades and racks to fill and level all the holes. Phil was our driver while Steve Fletcher, new member Malcolm Wilton-Jones and myself, later assisted by Mike Jardine filled the holes. The Landrover was used as a makeshift roller to consolidate the fill. This was hard labour but by the end of the day all the potholes were but a distant memory. Elsewhere, Scratch completed welding in the new tractor floor. Steve Raine and Mike Jardine spent their time fettling their Astir and trailer getting them ready for the new season. The forecast for next week speaks of a high pressure system keeping the Atlantic frontal systems away. This MAY lead to some better flying weather. The inaugural 2019 Wednesday flying day started with thick fog and drizzle. Members who arrived were Mike Bennett, Phil Hardwick, Andy Davey, Steve Fletcher, Bob Sampson and Malcolm Wilton-Jones. 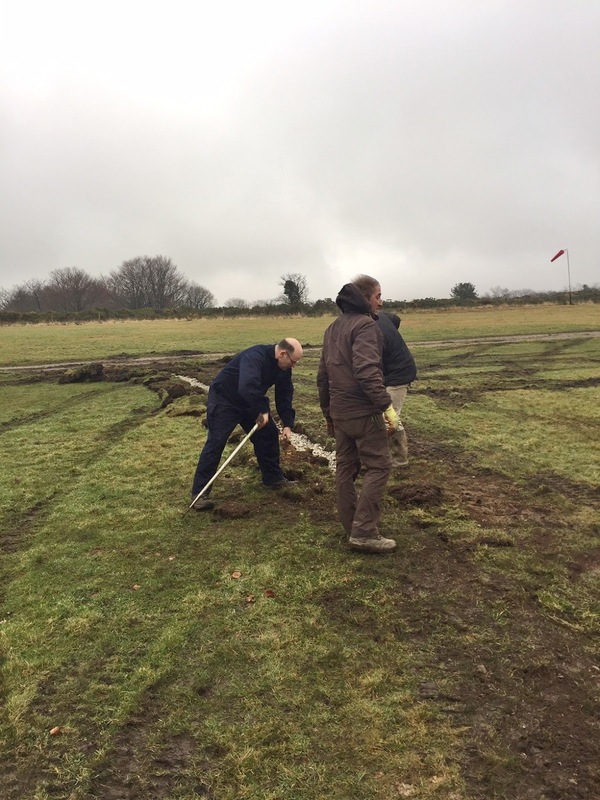 Mike and Phil set about preparing things for the on going groundworks around the airfield. Andy, Steve, Malcolm and myself went on a strop hunt on the north side of the airfield looking for the two that were lost on Sunday. We managed to find one. The othe we assume is in the thicker parts of the gorse. We managed to find two blue weak links, so along with the found strop and a partially complete strop from the hangar I set about completing two blue stops for use. Soon Colin arrived, so we gathered all hands to rig HXP after it’s CofA. After a bit of heavy lifting and general directions from Colin it was soon ready for a test flight. All we needed was a clearance in the weather. By mid afternoon things were looking brighter and we decided to give it a go. Archive photo of HXP ready to fly. First up was myself with Bob Sampson in the back seat to confirm ASI readings to test fly HXP. Going up the launch there was a difference between the two ASI’s. So we returned to the launch point. A quick look found a twisted tube to one of the ASI’s which was soon corrected. In the mean time Steve Fletcher took off in the K8. Unfortunately there was a problem retrieving the next set of cables and by the time they arrived the wind had changed direction to a tail wind. It was decided to stop flying and pack things away. HXP will need another test flight before it comes back on line. A bright clear morning and light southerly winds forecast it was hopefully going to be a good days flying. So with only eight members slowly arriving it was decided to get a K8 out of the hangar and go flying. Most of the flights were of only of an average 5 minutes. 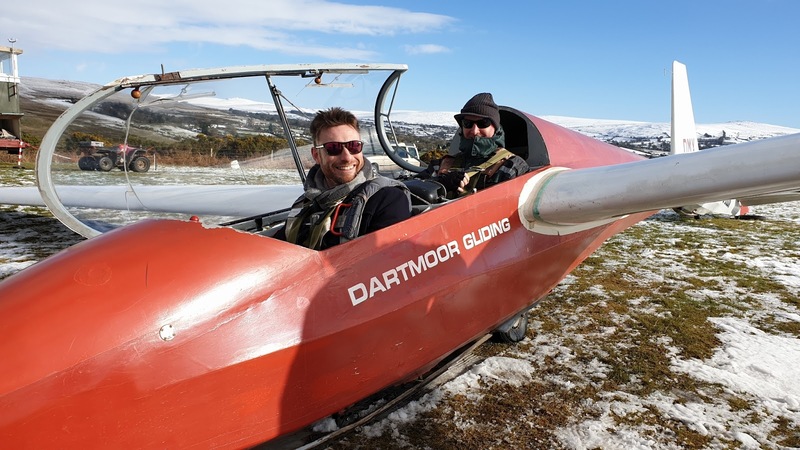 Dave Westcott and Ed Borlase were pleased to fly solo and maintain currency. Leith and Steve Fletcher also had a couple of quick circuits. Roger Applebloom managed two extended circuits of 10 minutes. 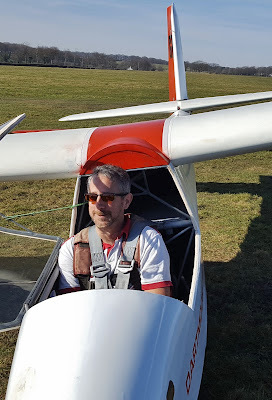 But flight of the day went to Andy Davey who found some lift and managed 18 minutes. 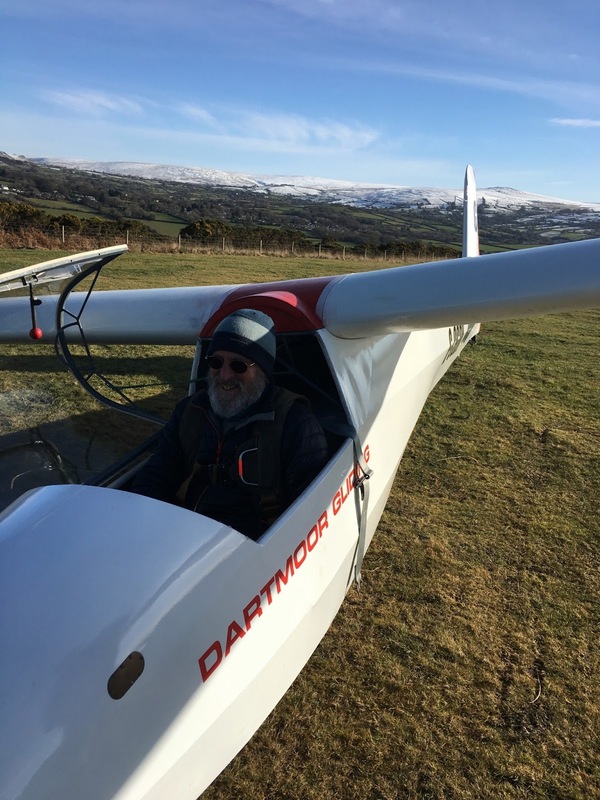 David Wescott getting ready to fly. 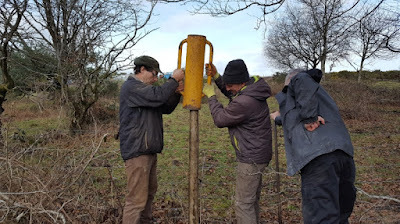 Thank you to everbody who shared the winching, retrieving and running the launch point. Eventually some light rain arrived and we packed everything away having all flown to keep ouselves current. Saturday arrived with snow on the ground but yesterday's showers were things of the past and the morning greeted us with a deep blue sky. 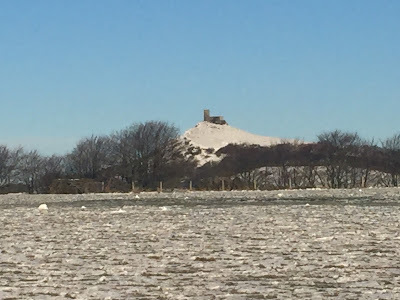 It was cold with a brisk NW breeze which was forecast to strengthen and veer to the north. 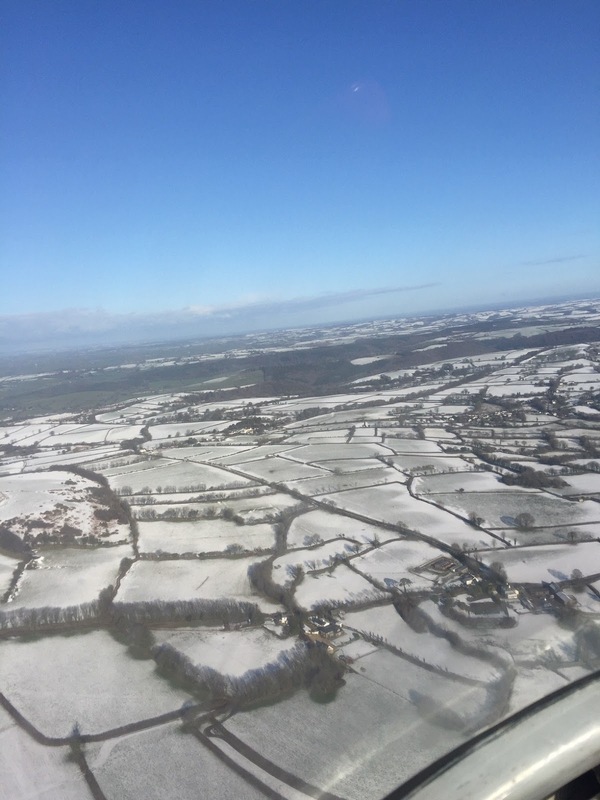 The wind chill was character forming but even so a small but beautifully formed crew arrived on the airfield determined to fly. 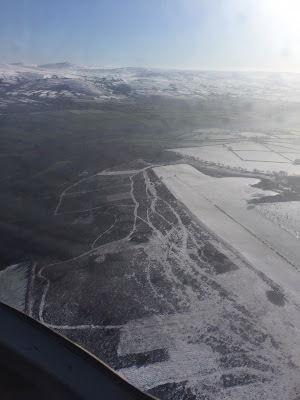 The runway had a light dusting of snow, the church was looking particularly picturesque and the higher tors to the east were blindingly white. The kind of day to make even an old industrial engineer wax lyrical. The day started with Instructor Mike Jardine flying with Phil Hardwick swiftly followed by Andy Davey in the K8 who tried to explore the north ridge for lift but could not find any usable lift. 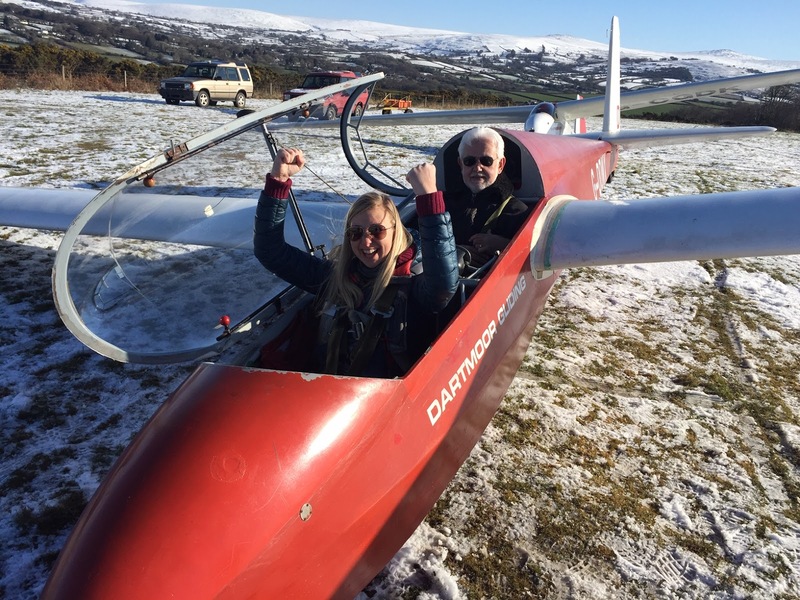 Enter today's visitors siblings Hanna and Jamie Le Coulliard who were keen to experience gliding for the first time. 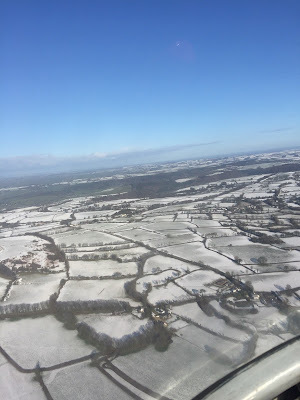 The both enjoyed their flights and left with smiles on their faces and Hanna promising to return for some more flying. As the day wore on the wind strengthened and the K8 was taken off line. 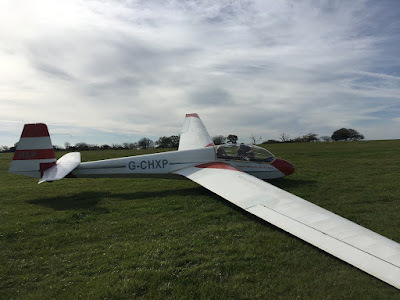 This lightweight glider is not at it's best in strong crosswind conditions but the K13 is and it continued to fly throughout the day. Late into proceedings Scratch made and appearance at the launchpoint to complete a couple of flights after having spent his day welding a new floor in the green tractor. Thanks mate. Everyone who wanted to fly did so but by 3pm the windchill and ever increasing wind strength finally beat us and we returned to the clubhouse for early tea and chat. A nice day with stunning views.